400W be quiet! 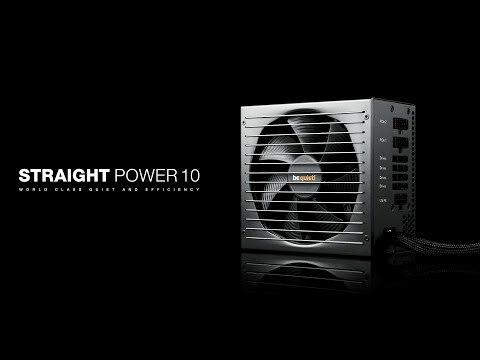 BN230 Straight Power 10 80PLUS GOLD PSU with 135mm Silent Wings 3 FDB Fan is rated 5.0 out of 5 by 3. Rated 5 out of 5 by davev from very quiet! does what it says on the tin. I can hardly hear my pc now. really impressive difference. Rated 5 out of 5 by mickyblueeyes from Quiet and efficient Gold rated so don't need to worry about this unit failing. Super quiet. I'd definitely recommend this unit just ensure 400W is enough for your build.